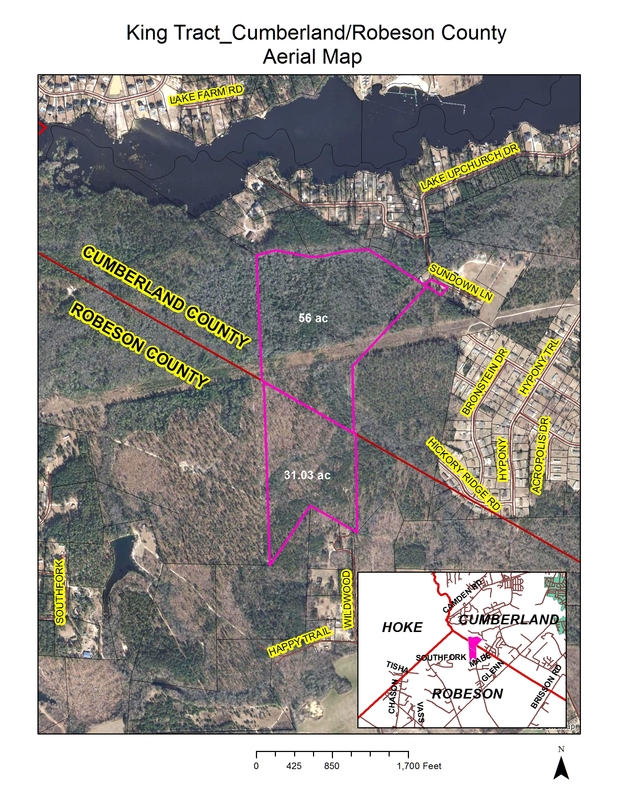 This property consists of 2 parcels, including 56 acres, and 31.03 acres The 56 acre tract is in Cumberland County and the 31.03 acre tract is in Robeson County. 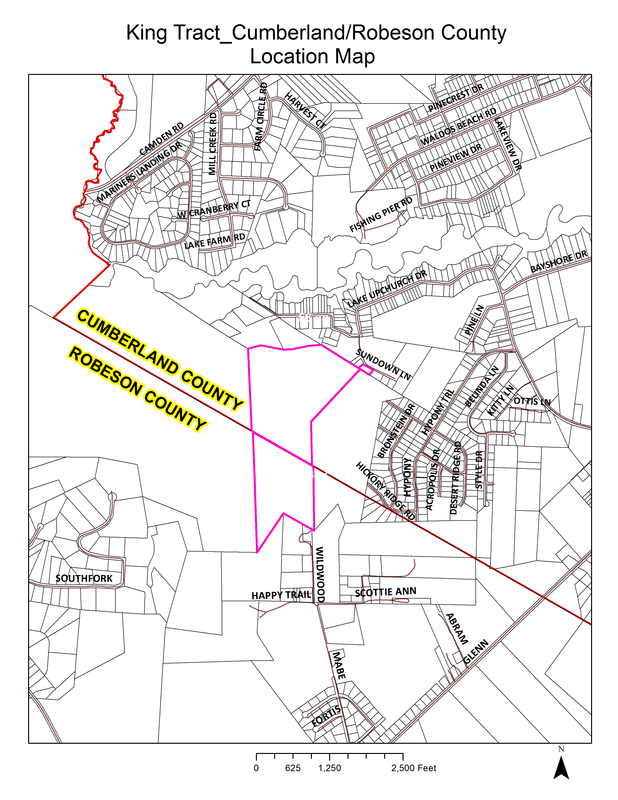 The tract has an entrance point via Sundown Ln., and has an abundance of wild game, including deer and turkey. There is a power line easement running through the middle this property. The tract is 100% woodland with multiple lanes cut out for deer hunting. SHOTGUN, BLACK POWDER AND BOW ONLY! NO LONG RIFLE!